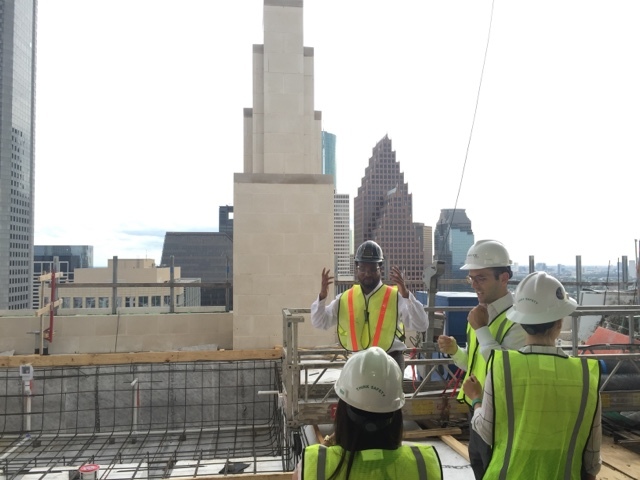 On Tuesday night I had the opportunity to tour the much-anticipated Market Square Tower as a part of Central Houston's CHIME young professionals group. This will be Downtown Houston's tallest residential structure, and will serve as the tallest building on the northern end of Downtown Houston. Designed by hometown architects Jackson & Ryan, the project is being built by Harvey Builders adjacent to Market Square Park. 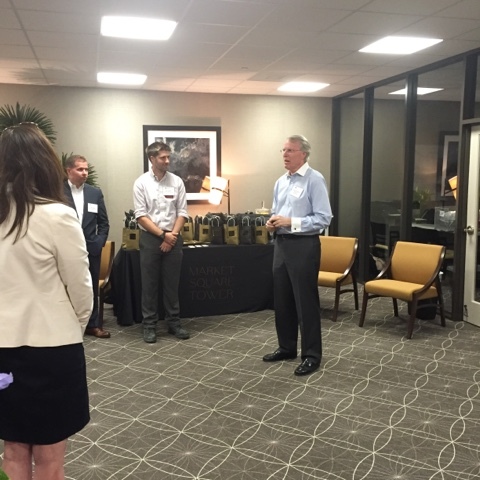 Philip Schneidau, CEO of Woodbranch Investments Corp. welcomed the CHIME group, updating us on the status of the tower, explaining his desire to build a residential tower in Downtown Houston, and answered a number of questions from those in attendance. He said that Woodbranch had owned the site (a former surface parking lot) for over 20 years, but it was about three and a half years ago when he was convinced building a residential tower was the right move. Originally, Schnideau suggested a 30-story tower, but was rebuffed by Woodbranch's New York City investors, who suggested a 55-story tower. Everyone involved in the project settled on 40 stories. After settling its height, Schnideau said each of the parties brainstormed amenities. He noted that there were between 30 and 40, including his and her spas, a golf simulator, and a game room. Schnideau noted that the tower is aiming for opening in late October (I believe the leasing agents said October 26). 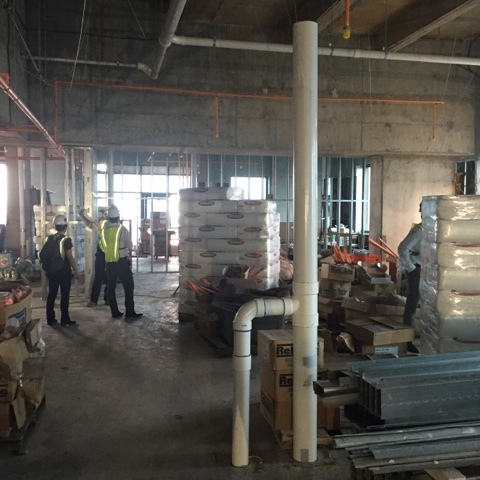 Only about 15 or 16 floors will be ready for the grand opening, as well as all the tower's amenities, with 4 floors being opened each month thereafter. 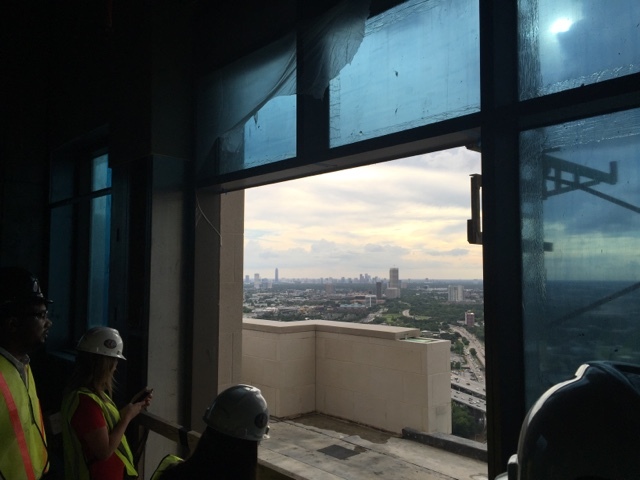 The tower's penthouses on the 39th floor would be the last to be finished. Paper City featured a story about the tower in June, summing up the number of amenities that Market Square Tower will boast. In that story Schnideau said “We didn’t feel like there was enough demand." (referring to living units in Downtown Houston.) 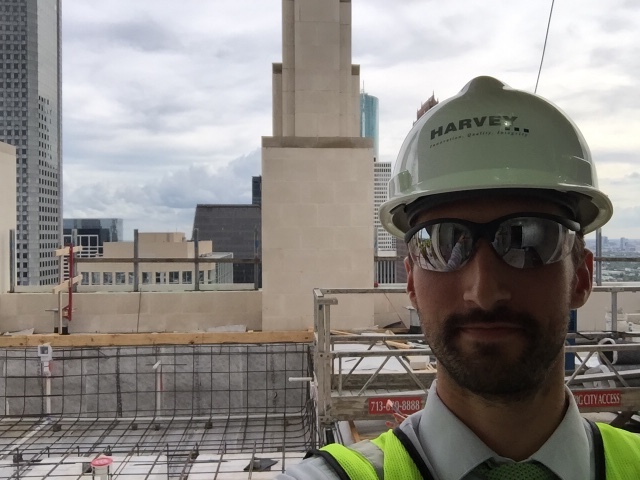 "Just in the last five years, we’ve seen the demand pick up.” This is no thanks to the Downtown Living Initiative, an economic development program established to spur multifamily and mixed-use development in Downtown Houston. The program aimed at providing this boost to up to 5,000 units. Currently, there are approximately 2,729 units under construction in Downtown Houston, with another 2,458 units planned. When asked about the estimated construction cost per square foot, Schnideau answered "It's a lot." He suggested that the project was over budget, but that it was more important to deliver a great quality product. After finishing with questions, groups of 10 or so made their way up the exterior construction elevators to the building's 39th floor. 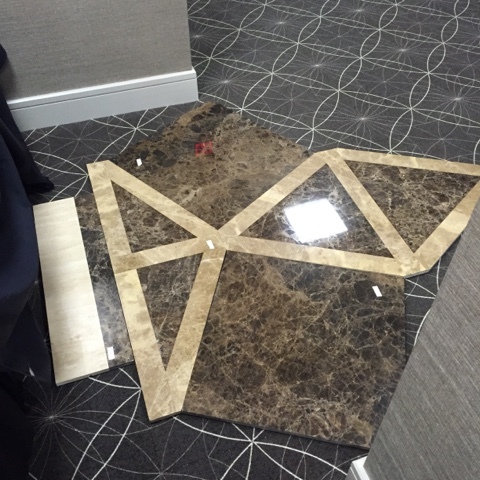 This floor will host the tower's four penthouses, which will each cost tenants about $16,000 per month. The view from the units (especially the west penthouse) will be unbeatable. We took the stairs up to the 40th floor amenity deck, but we were unable to take a walk into the tower's glass-bottom cantilevered pool. The amenity deck is nowhere near completed, but will offer a spectacular swimming setting when it's finished. 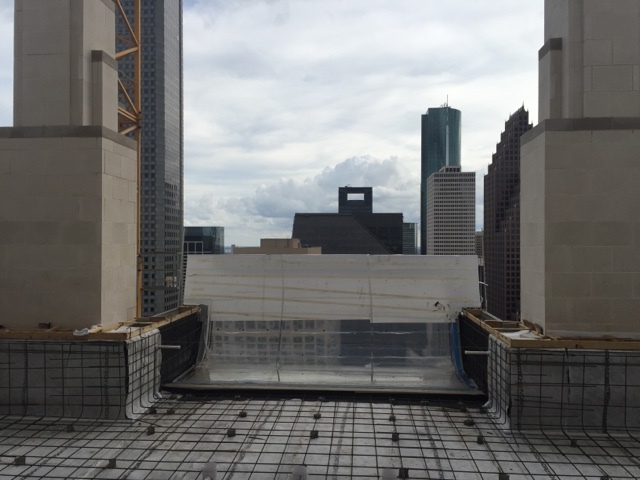 Residents will be able to gaze down upon to Market Square Park, and face the rest of the Downtown Houston skyline to the south. 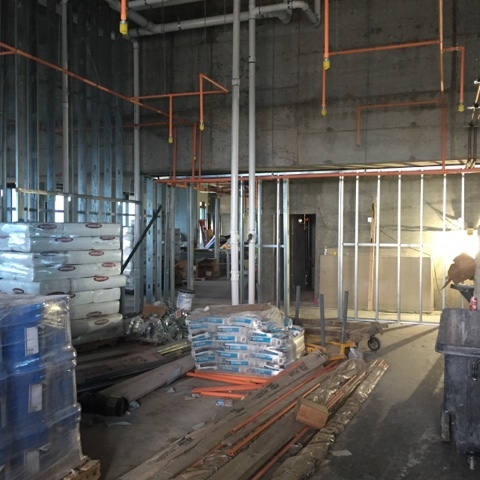 The ground floor will likely not feature any retail, aside from something like a cafe or coffee shop. Nothing seems to be final with respect to that space at this point. 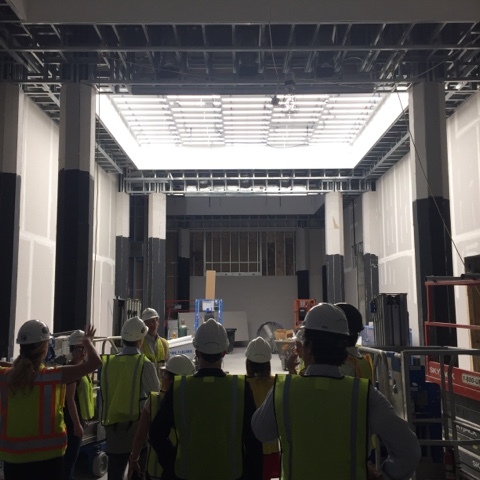 The building's lobby will feature an intricate marble floor and glass ceilings. It was evident to everyone in attendance that the developers had spared no expense in the materials of the building. 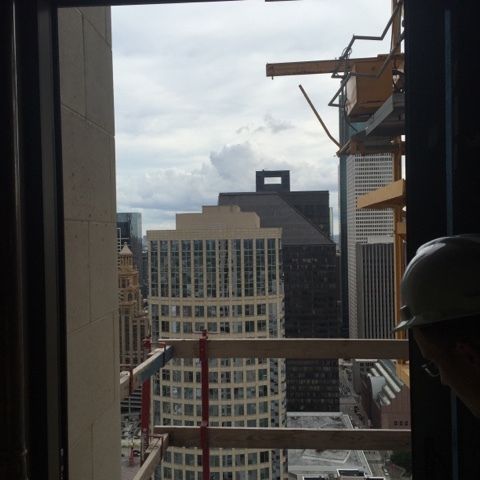 Market Square Tower will be a great addition to Downtown Houston. The gallery of photos of and from the inside by a non-insider is highly appreciated, as is the accompanying walk-through/walk-up report. This is obviously not the perspective that the average pedestrian is privy to. Nor is it the equivalent of the developer's PR materials. It adds something unique to the discussion.